SocialRank built up from a handy tool to help people zero in on their most valuable or most visible followers on Twitter into a social intelligence tool designed to help power users and brands engage with every kind of person in their influence sphere. 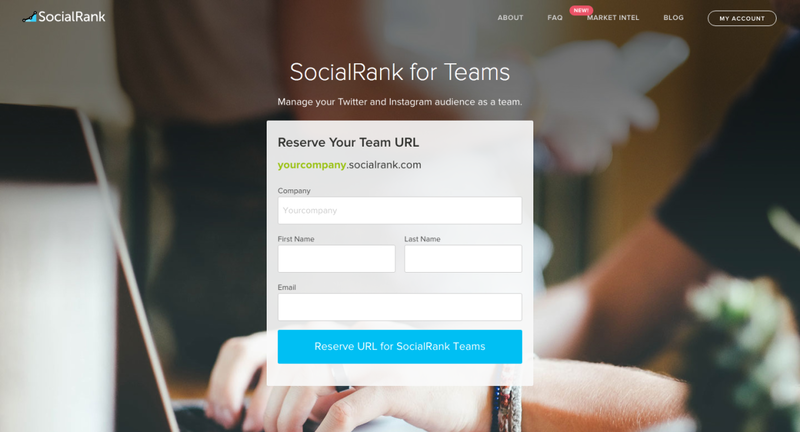 Now, the startup is optimizing for enterprise, today announcing team support for all Social Rank tools. Ostensibly, this means that teams even outside of social marketing — say, the sales department looking for information on how much a brand’s follower base is interested in sports or travel — could access Social Rank and get that information easily, without having to harangue marketing for the numbers. Taub says that teams will be able to select their own domain, and log in with email credentials rather than through Twitter or Instagram. From there, it all depends on the level of access — some groups might have admin-level credentials that will help them pull crucial data off the site in the form of CSVs, while others with ‘Read Only’ access will be able to see what’s going on but not directly interact with any tools. And that kind of team management is crucial for large brands, which might have a small team of social-only folks but have huge, whirling marketing hubs that might also want immediate access to the numbers that SocialRank provides. Speaking of, the company has also announced that its Market Intelligence tool, which allows anyone to gather and analyze the follower information for any account — including ones that aren’t your own — is out of beta. In addition to analyzing the follower makeup of any account, SocialRank provides filters like “compare to an account,” which allows users to compare the total follower overlap for any two accounts, and geolocation. There are also extra filters that will go live, including gender and hashtags, soon. “We want to become that central location where you manage your social audience,” Taub said.